He is a story teller and communicates in simple language the intertwining of history with contemporary social, economic, religious and political influences. I recommend this book to atheists, leftists, post-modernists and progressives as a mechanism of understanding the foundations of Western civilisation, democracy and capitalism. We are free because of the Reformation, Enlightenment and industrialisation. 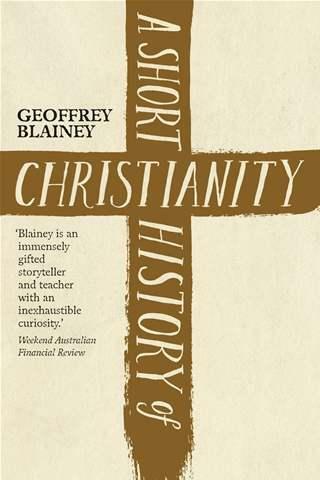 Our thinking and language is driven by two millennia of Christianity. Every aspect of our lives is underpinned by ever-evolving Christianity. Gary Johns’ Aboriginal Self-determination: The Whiteman’s dream (Connor Court) is a disturbing reality check of failed white dreams written with passion and authority. I have twice attempted to read The Hare With Amber Eyes: A hidden inheritance (Vintage) by Edmund de Waal, a rambling albeit popular airport “chook book” that could have been shortened to a rollicking yarn.